Thank God all that Thanksgiving stuffing is over! We can concentrate on something more important ! It's time for BOB'S HOLIDAY OFFICE PARTY! 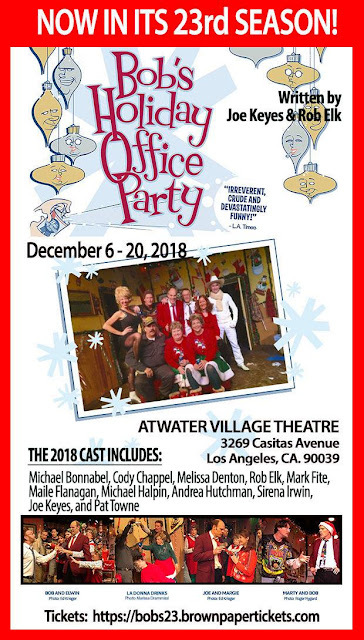 I will be appearing in this yearly hilarious and drunken holiday tradition during the first set of performances. Opening weekend 12/6, 12/7, 12/8 and three of the following weekend's performances 12/13, 12/14 & 12/15. ©2011 Michael Bonnabel. Powered by Blogger.